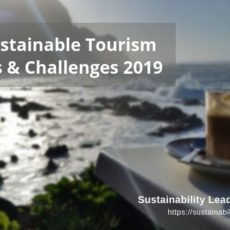 When visiting a destination, what most intrigues us are the stories of its residents, entrepreneurs and, since our focus is on sustainability leadership, those shakers and doers who make things happen: who put policy and words into practice. On Príncipe Island, West Africa’s UNESCO Biosphere Reserve, Estrela Matilde is one of those persons. 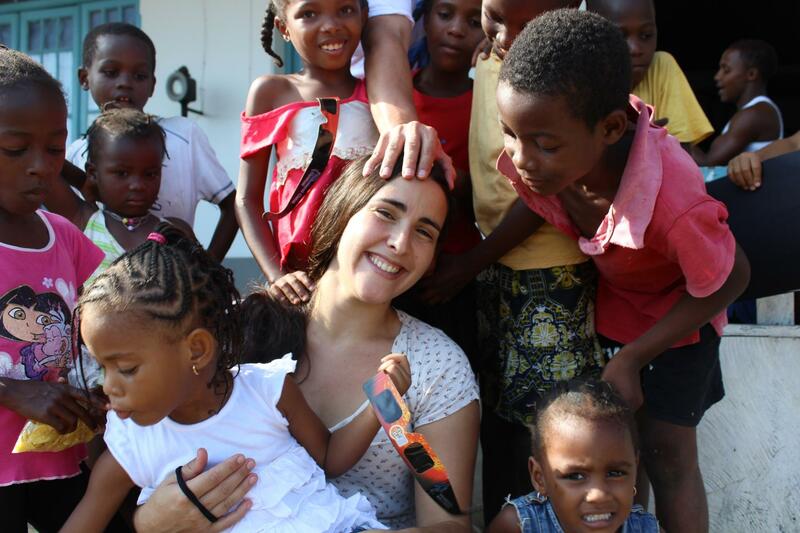 Learn more about her life on Príncipe and her professional experiences in this interview. The Responsible Príncipe Certificate System aims to promote products and producers who comply with the principles of responsibility and sustainability. Even the smallest local businesses create jobs and contribute to the local economy. The challenge is combining sustainability, indigenous and traditional culture, excellent service, product quality and safety assurance. Being able to think outside the box with simple ideas leads to successful management of remote destinations. Sustainable tourism means dealing with local realities, and tourism must respect local issues (Ex: begging behavior in children and its negative consequences). Estrela, a few words on your professional background? I am a Biologist, with a master’s degree in Conservation Biology and 10 years of experience in conservation projects in Portugal, including plenty of activities and actions in the area of education and environmental awareness. 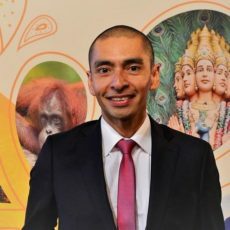 Why did you decide to work in/for Príncipe? As project manager for Príncipe Trust, which have been the main lessons/insights for you – personally and professionally? In my almost three years on Príncipe Island, I have had the opportunity to work on several projects, not only of environmental character, but also on social and even agronomist projects. However, work in the Biosphere Reserve has always been the one where I felt more at ease and where I felt that I could contribute more. But the fact that I was not there 100% (I was located on Bom Bom Island during the resort’s certification process) did not allow me to give as much to the broader community as I would have liked. 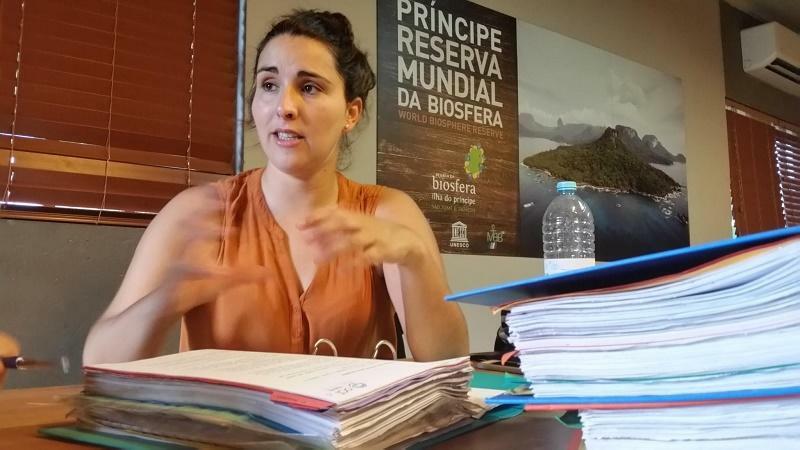 Now, as project manager of the Biosphere Reserve project, I can realize this desire to work with and for the people of Príncipe Island as a whole, as a Biosphere Reserve. Thanks to my three years of field experience in different areas and with different communities, I could help implement the UNESCO Man & Biosphere standards. Being able to contribute towards making the small island of Principe an international example of sustainable and responsible tourism development, being part of these communities and seeing how dedicated and serious they are about their Biosphere Reserve, that makes me very proud and happy. All my experiences, even outside my area of work, allowed me to appreciate the island and the communities, and to learn how to be part of it all, giving my best. You are currently developing a product certification program for Príncipe – how does it work? The Responsible Príncipe Certificate System aims to promote products and producers who comply with the principles of responsibility and sustainability. In this way, we promote the continued work towards sustainability, and incentivize more responsible behaviour and the social support to communities. We also want to promote local products and encourage customers and tourists to purchase services and products with this certification, to make sure sales numbers are worth the effort from a business perspective. We already have 83 products and producers registered. Mrs. Maria Nunes was the first registered and also the first to get certified. 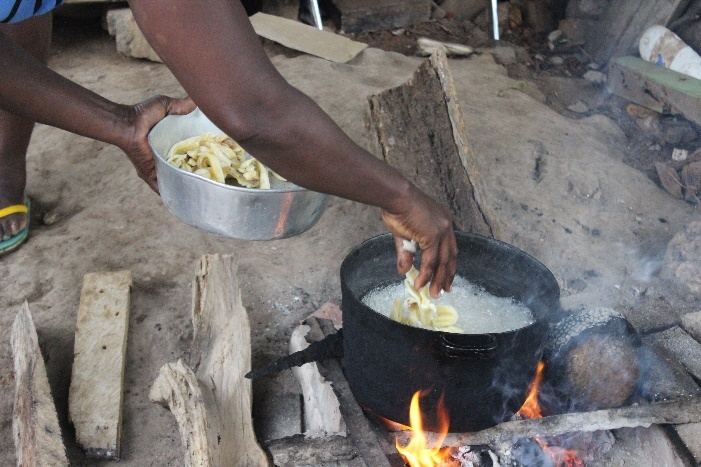 Maria produces a product typical of Príncipe Island – the Bobó Fito, for which she only uses the purest coconut oil and the best banana silver available. Her one-person business might be small but already contributes to several jobs, including the products she buys in the fields, the carriers that cut and carry the firewood, etc. Maria also reuses any waste produced, such as oil and banana peels, which she uses for smoking fish or for compost, while keeping packaging minimal. Maria’s product is now also exported to São Tome, which is a great accomplishment. Looking back, which sustainability aspects do you find the most challenging when developing a remote island destination, such as Príncipe? From my personal perspective, the main challenge is finding the right balance between sustainable, indigenous and traditional, and excellent service, product quality and safety assurance. In a remote destination, it is vital to learn how to think outside the box in a much simpler perspective than what we Europeans are used to, otherwise it becomes very complicated. In Europe, we no longer know how to think simple. The shortage of produce available on the island is also a challenge that we have to manage – balancing between local and sustainable and ensuring quality experiences for our discerning guests and customers. We cannot be radical and just use what exists on the island, because the current production is not enough. At the same time we don’t want to put the destination’s authenticity at risk by importing all products. There has to be a balance. 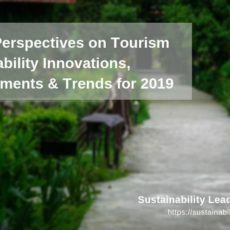 It is also essential to be able to change the tourist’s perspective; to teach our visitors that sustainable tourism means experiencing and dealing with local realities, and that Western world perspectives don’t necessarily apply here. And then there’s the kind of tourist that comes to Africa with the perception of “poor thing” and who thinks that it will make a difference to hand out candy to children on the street because it makes them happy. For us it is fundamental to teach them that this behaviour is wrong and that it can have very serious social consequences: you are in fact stimulating begging behaviour among children, fights, health problems. And of course the ones you find on the street aren’t necessarily the ones most in need. We encourage that tourists bring donations, but that they be responsible, that is, bring the essentials (no candy’s…), and make sure those presents are handed over by someone who can ensure fair distribution. How to measure the success, or return on investment, of HBD Príncipe’s involvement in the Islands tourism development, from a local community perspective? At Principe, financial return on investment is not a short-term reality, more of a long-term goal. Our job objectives aren’t focused on financial gains but much bigger than that: to show the world that you can develop a region, an island in a sustainable and responsible manner. We hope to serve as example in the world and to create a destination that not only is one of the most beautiful places you could possibly visit, but that has successfully used tourism as a tool for the responsible and sustainable development of an island and nation. We can show the world that utopia is possible, and we are working on making this dream real. When we see locals’ purchasing power grow, work conditions improve – sick leave, holiday pay, painting their houses, buying bicycles for their kids and even traveling to São Tomé where they never went before, then we realize the contribution of this project to the local development of the island and the quality of life for local communities. And we can see those improvements every day. Every day there are more products available which didn’t exist on the island before. Every day we see new shops opening. We can now see dog food available and people being conscious about their health. All signs of moving towards a developed island. Thanks to TAP Portugal for supporting our visit of Príncipe Island as travel sponsor. TAP flies from Lisbon to São Tomé three times a week. 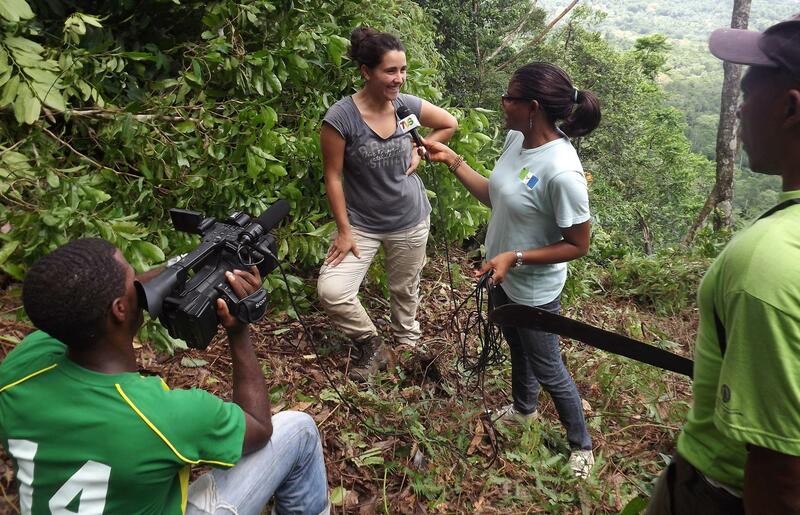 Enjoyed our interview with Estrela Matilde on her work as project manager for Príncipe Island in Africa? Share and spread the word!